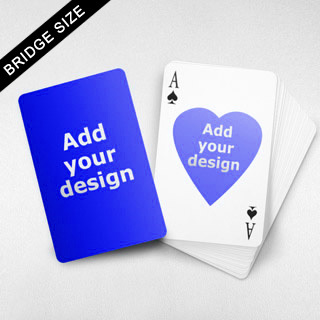 Make custom playing cards with your own design or image. These cards feature a heart shape on the back for you to insert 1, 4, 13 or 54 designs or images to create a unique deck. Our cards are printed with advanced digital printer on premium quality card stock.